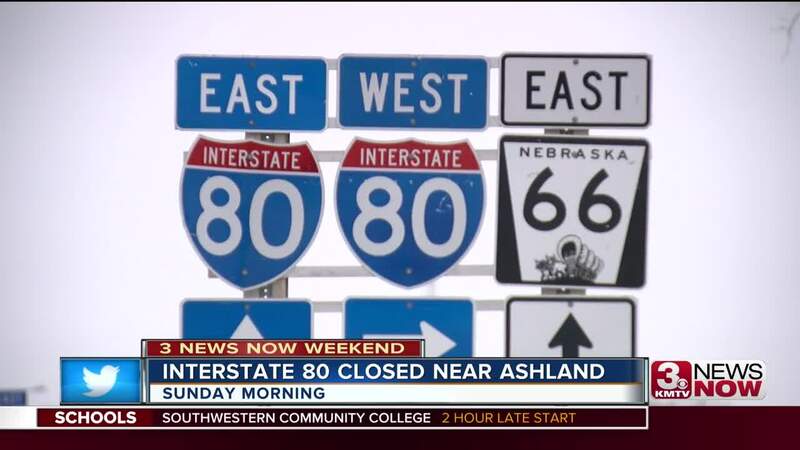 Multiple crashes along Interstate 80 west of Ashland prompted the closing of westbound lanes between milemarkers 409 and 426 for about 2.5 hours Sunday morning, according to the Nebraska State Patrol. NSP reported those lanes re-opened about 11:15 a.m. Nebraska Department of Transportation was advising travelers to check their routes before heading out Sunday. NSP troopers responded to about a dozen crashes — one involving an injury — and performed more than 50 motorist assists from about midnight to nearly 1 p.m. Sunday, according to an NSP release. The crash that prompted a section of westbound I-80 to close Sunday morning involved a jackknifed semi-tractor trailer near milemarker 409 that was struck by a second jackknifed semi-tractor trailer, the release states. A Trooper responding to the crash pulled the driver of the second semi and rendered medical assistance, the release states. The driver was then transported to Bryan West Campus in Lincoln with injuries; the driver of the first semi was not injured. NSP reported Sunday afternoon that strong winds were still capable of causing reduced visibility and that black ice was still present in some areas. Drivers were urged to use extreme caution if travel is necessary, and to check road conditions before venturing out. Any motorist in need of assistance in a non-emergency situation can *55 to reach the NSP Highway Helpline. For emergencies, call 911. Eastbound lanes of I-80 were still open in the Ashland area while westbound lanes were closed, but NSP was urging motorists to stay home today, noting that icy patches were difficult to spot and making travel along the interstate dangerous, particularly in areas west of Omaha and Lincoln. Troopers are on the road across Nebraska today to assist motorists. They report some black ice in addition to the snow and wind. This is near GI on I-80.